NHL general managers are a little bit like modern-day prospectors. They carefully research where they think the gold is, then plan how to go about getting it. When they get down to the river, (or, in this case, the draft) and pan for the gold (or make their picks), they may think they’ve got the gold in their pan (or, on their team) they set out for. It shines bright. It looks right. However, sometimes, what’s in the pan is pyrite. 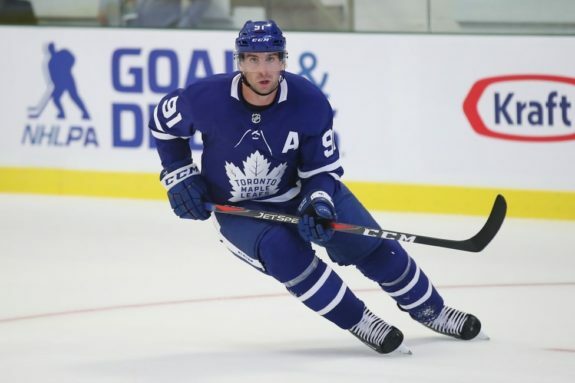 The 2009 NHL Entry Draft is notable for producing a number of the NHL’s current golden boys, including John Tavares, Victor Hedman, Matt Duchene, and Evander Kane — picks one through four, respectively — among many others. It’s also notable for having an all-time high seven Swedish players drafted in the first round. However, it’s also notable for a number of players who GMs thought they had struck it rich by taking. Here are five forgotten players from that draft class that prove not all that glitters is gold. Winnipeg-born Scott Glennie looked to be a can’t-miss prospect with great speed, good size, and above average offensive instincts. He was chosen eighth overall by the Stars after playing two seasons with the WHL’s Brandon Wheat Kings, in which he racked up 58 and 70 points, respectively. Related: What Ever Happened to Scott Glennie? After being drafted, the then 18-year-old returned to the Wheat Kings, where he continued to turn heads as an elite prospect, tallying a further 180 points over his next two seasons. 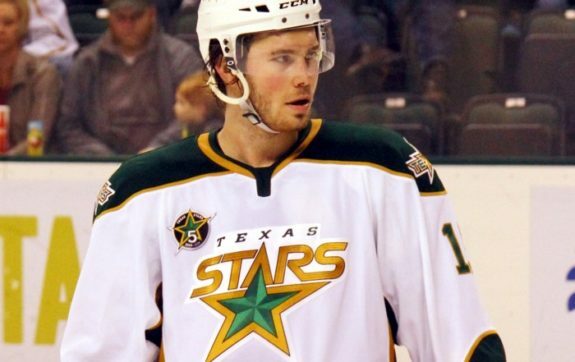 Glennie’s first full season as a professional was a promising one — in 2011-12, he played 70 games for the Texas Stars and finished fifth on the team with 37 points. He even got into his first NHL game as a late-season call-up. However, his first NHL game would be his only NHL game. Throughout his tenure in the Stars organization, Glennie dealt with a litany of injuries and conditioning issues and played in only 87 AHL games through the next two seasons. After the Stars decided not to tender Glennie a contract after the 2014-15 season, he underwent shoulder surgery and sat out the entire 2015-16 season. In 2016-17, he attempted a comeback, signing a professional tryout option with the Manitoba Moose. For his hometown squad that finished well below .500, he suited up for 45 games and produced 20 points. Since then, Glennie has not played pro hockey. One of the seven aforementioned first-round Swedes, defenseman David Rundblad was highly praised by Elite Prospects as having “very good size and puck skills,” “impressive vision,” “a fairly accurate shot,” and the capability to “move the puck into the offensive zone with slick stickhandling and good speed.” Sounds a little bit like the skill-set of stupendous Swede Niklas Lidstrom, does it not? Rundblad, perhaps needless to say, did not end up becoming Lidstrom-like. He ended up changing hands more than a Pokemon card on an elementary school playground and ended up more notable for the players he was traded for than his own play. The Blues signed him to an entry-level deal in June 2010, but before the month was even over, they traded him to the Ottawa Senators for the 16th overall pick in the 2010 Entry Draft. The Blues would use that pick to select Vladimir Tarasenko. In 2011-12, Rundblad made the Senators out of training camp, but before Christmas, was sent packing again — this time, to the Phoenix Coyotes for Kyle Turris. In parts of three seasons with the Coyotes organization, he struggled to establish himself as an NHL regular, playing in just 26 NHL games and another 86 for the Portland Pirates. Rundblad would be traded yet again after the 2013-14 season — this time to the Chicago Blackhawks — and spent three seasons in the Windy City. In 2014-15, he appeared in a career-high 49 games and tallied 14 points, but the next year, that number dropped just nine. STL turned Rundblad into Tarasenko. OTT turned him into Kyle Turris. ARZ turned him into Christian Dvorak. CHI turned him into thin air. After being bought out at the conclusion the 2015-16 season, Rundblad returned to Europe, where he has played ever since. Earlier this year, he played two games for the KHL’s St. Petersburg SKA, but isn’t on their active roster. Louis Leblanc seemed like the perfect fit for the Canadiens, who drafted him 18th overall. The right winger from Pointe-Claire, Quebec had just come off a 58-point season with the USHL’s Omaha Lancers and was also named rookie of the year. Leblanc also seemed to be mature beyond his years and was highly praised for his play, work ethic, and humble attitude. 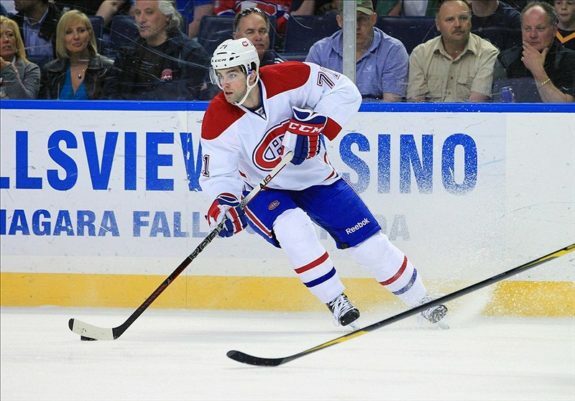 Leblanc had a good start to his professional career — in his 2011-12 rookie season, he split time between the Hamilton Bulldogs and the big club, recording a total of 32 points in 72 games between the two levels. However, that was about as good as Leblanc’s career would get. In the next three seasons, he was unable to establish himself on increasingly deep Canadiens squads, playing, and being held pointless in, just eight more NHL contests. The former first-round pick was traded to the Anaheim Ducks organization for a conditional fifth rounder in 2014, but was not able to crack their roster. In 2015-16, he had a cup of coffee with three different European teams — playing 14 games between them — before electing to retire in his mid-twenties. He is considered to be one of the Habs’ biggest draft busts of the 2000s. Philippe Paradis has the dubious distinction of being the highest pick of the 2009 draft class to never play an NHL game. The Hurricanes drafted the Shawinigan Cataracte due to his mixture of offensive skill and physical presence but traded him to the Maple Leafs in December 2009. Then, just six months later, the Maple Leafs traded him to the Blackhawks along with Viktor Stalberg in exchange for Kris Versteeg and Bill Sweatt. While Paradis’ offensive output was decent in juniors — he recorded between 44 and 53 points in three of his four seasons — he never came close to replicating that output at the professional level. He became first and foremost a fighter, something no team wants a former first-round pick to be. Paradis played 249 games over seven AHL seasons with the Toronto Marlies, Rockford IceHogs, and Syracuse Crunch. He dropped the gloves 27 times and spent 440 minutes in the sin bin. 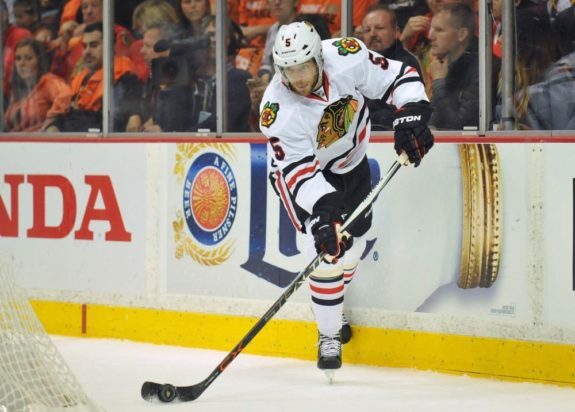 He managed to tally 66 points — his career high being 16 with the IceHogs in 2011-12. Paradis last played in 2017-18 for the Jonquiere Marquis, a team in the semi-pro, Quebec based, Ligue Nord-Americaine de Hockey. In their disappointing 12-year existence, the Atlanta Thrashers were incompetent at the draft table and never built up anything resembling meaningful organizational depth. Carl Klingberg — older brother of Dallas Stars blueliner John Klingberg — is just one of their many poor picks. The Swedish-born right winger turned out to be a classic example of a player who could produce offence in the AHL but not the NHL. Klingberg did get a few recalls to the Winnipeg Jets in the early seasons after the Thrashers relocated in 2011, when the Jets were bereft of viable prospects and forced to call up some pretty questionable players as a result. In 12 career NHL games, Klingberg produced just a single point, a goal on a wraparound against the Calgary Flames in April 2014. As the Jets and GM Kevin Cheveldayoff began to reap the rewards of their “draft and develop” strategy, Klingberg became expendable. In 2015, the Jets traded him to the Rangers for Lee Stempniak. After the season concluded, he decided to make tracks for the KHL and spent the next year with Torpedo Nizhny Novgorod. Since 2016-17, Klingberg has played for Switzerland’s Zug EV.